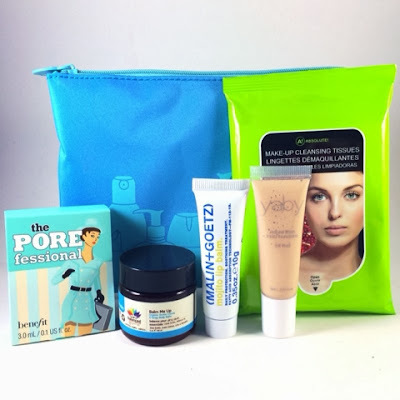 This months Ipsy bag is an azule blue with a lighter blue overlay of different beauty product containers. The bag smells very strongly of plastic which hasn't been an issue in previous bags. :/ This is the first month of Ipsy I've opened up and haven't been thrilled with whats inside. 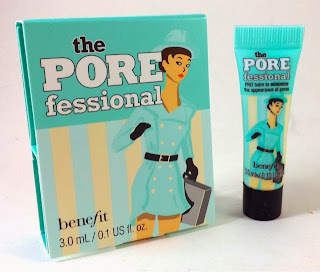 I received Benefit's The Porefessional, Balm Me Up body balm, Malin + Goetz lip balm, Yaby foundation and Absolute! Cleansing Tissues. I guess it's alright to get make-up wipes in my bag but, I'm not all "Woohoo! 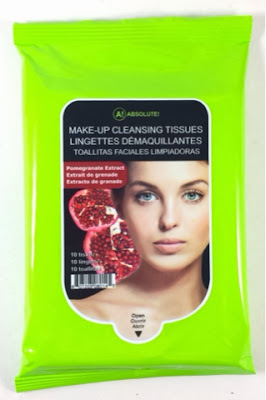 Make-up wipes!" I'm sure I'll use them if I'm out and come home too tired to put the small effort into washing my face.....I'm super lazy...a lot. I've never actually purchased make up wipes though. I don't really see them as necessary when I've got some water in the tap and a bar of soap. These wipes are touted as containing pomegranate extract but, I'm not exactly sure the positives of pomegranate extract and there is no explanation of it on the packaging anywhere. I will give these wipes the +1 of having a super soft feel to them though! It was like burying my face in a sheep or maybe a chinchilla. This version is scented. It like fruit juice from a foot away but once it reaches your nose it almost smells like how cherry cough syrup tastes. I am disappointed. Part of my love for you has always been that you don't include theses little throw away samples that aren't really worth anything. But, low and behold here is the dreaded itty-bitty sample. There are maybe two or three uses in here solely meant to let you try it out to get you to buy a full size. This size is not actually available for sale as it's only meant to be promotional so I'm assigning it a value of 0. Yay! Something I'm excited to try. Winter is tough on a sickly, pale irish girl like me. My skin gets easily wind burnt and turns all shades of crimson if even the smallest patch of me is exposed to the outdoor elements. Unfortunately for me, I like to wear skirts to work and I thought walking through NYC would be fine since I'd only be outside for a couple blocks. I was wrong. Now I have this weird, gross patch of dry irritated skin right above my left ankle. Because I care about you guys I'll spare you the images. I'm afraid they may turn you to stone. I've tried lotions, hydrating body sprays and baby saliva to get it to go away. So far, no dice. This stuff smells awesome like some kind of orangetini. The texture is velvety smooth. As soon as I opened it I started rubbing it into the desert on my leg. I'm already starting to see the skin start to return to that of a human being and less of a gargoyle. Huzzah! Did I mention that I can practically pronounce everything on the ingredient label? All certified organic as well. The flower child in me is appeased with this as tribute. This liquid foundation is interesting. Yaby sells eight of these tubes together in a set so that you may mix your own personal foundation color to get it as spot on as possible. They even have blue, pink and green shades for cool, warm or olive skin tones. The tip of the tube is removable to that you can put your mixed color into the tube for safe keeping and multiple uses. If your into the whole mad chemist thing this could be fun. Personally, I don't trust myself to mix cream into my coffe (thank you Starbucks baristas) let alone my own foundation shade. Doctor, hand me the scalpel...anesthesia injection...Mojito Lip Blam....maybe not in that order. The packaging of this Malin + Goetz lippy is very surgical and ridged in appearance. At first I was like, Ipsy did you give me some prescription face cream or something? Come on my skin isn't that bad. Upon further inspection it's an innocent enough and fun lip treatment. 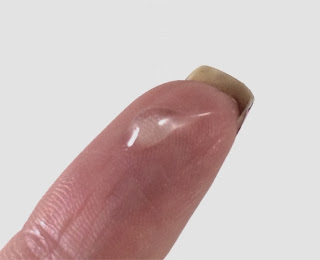 There isn't an applicator tip so you'll have to squeeze this onto your finger and apply that way. The formula itself is crystal clear and has a delightful lime and mint scent. Over all I received a $27 value in my bag this month which is still great considering it's only $10 a month. Typically my bags are worth more. I'm not super pleased with how Ipsy is kicking off the new year. Please, please, please, pleaseeee don't include any more throw away samples Ipsy. I also didn't get any color in this bag whatsoever. Part of the reason I've cancelled other subscriptions is because of throw away samples and lack of beauty products with color like lip products, blushes and eyeshadows. 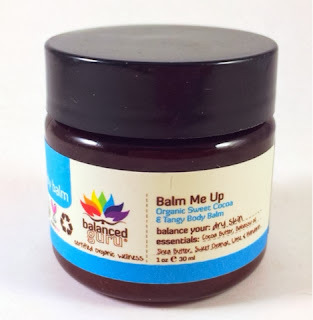 I loved the Malin + Goetz Mojito Lip Blam and Balanced Guru body balm. The Yaby foundation and Absolute! make-up wipes were alright. The Porefessional balm is not what I'm looking for in a subscription bag. I'll probably use it but it will only last a few uses. Since Ipsy is my favorite makeup subscription I'll wait out my next few bags to see how they do. I'm pretty confident Ipsy will return to their former glory. If you'd like to get your own Ipsy subscription for $10 a month click here to take the Ipsy beauty quiz. Each month Ipsy will match you with products tailored to your tastes. I've had a pretty good track record with them before so I'm keeping my subscription. I'm jonesing for some more Urban Decay which they've included in multiple different bags before!